ARE YOU INTERESTED IN IRISH DANCE LESSONS? We offer the highest quality Irish dance instruction for students 3 years old to Adult. Programs to suit all needs including Recreational, Competitive, and Performance. Small class size in a family oriented school. Fill out a Registration Request form for more information on our classes and to drop in and try a FREE CLASS before registering. REGISTRATION ACCEPTED THROUGHOUT THE SEASON! 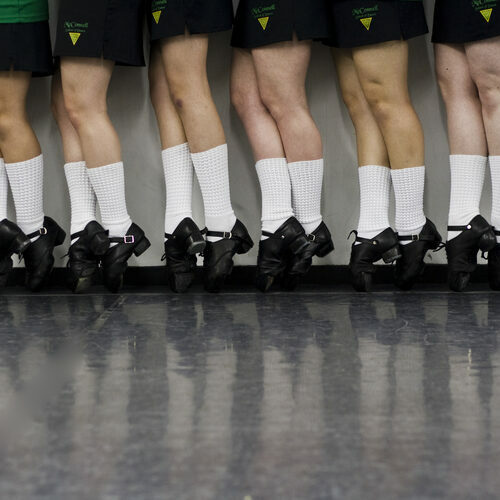 Over 100 years and 3 generations of Irish Dance Tradition! Which Division is right for you? Enjoy the Basics of Irish with opportunity to advance to higher levels at your own pace. Recreational Division is ideal for students new to Irish dance and for dancers who are involved in other activities. Dancers learn traditional & modern styles. Suitable for dancers from Beginner to Advanced. Warm Up & Technique included in the class. Students register based on their age within our Recreational Division. 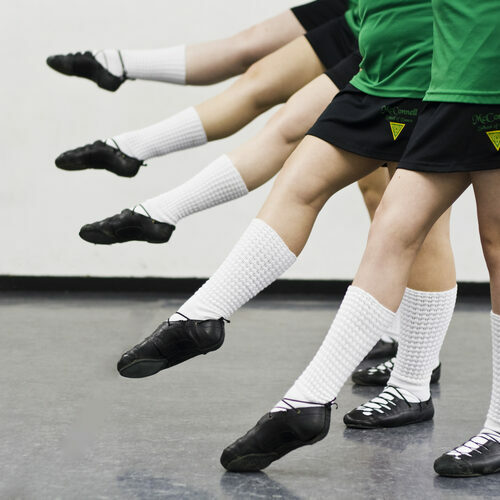 Dancers starting Irish at an older age may require solo lessons to give them the basics of Irish dance to fit into the class with their age group. All Recreational Division dancers are invited to perform at our major events during the season. Performance is always optional for all Recreational Division Dancers. Sept - May for dancers who wish to compete in our Canada Feile. 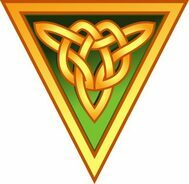 Dancers who wish to compete at the Regional, National, or World competitions, the season extends form Sept - Aug.
McConnell School of Irish Dance is a registered member of Cumann Rince Náisiúnta(CRN), based in Dublin, Ireland. Dancers compete in CRN's Open Platform Feis, which take place at the Regional, National, & World levels. Dancers compete in 5 Solo Levels of CRN - Bunghrád, Ullmhuchán, Meanghrád, Ardghárd, Craobhghrád. Dancers begin at Level 1 (Bunghrad) and progress through the Level 5 Championship (Craobhghrad). In most cases, achieving Championship level takes many years and a great deal of hard work. CRN North American competitions are held in Minnesota, Illinois, Ohio, Pennsylvania, Maine, and many other cities across the U.S.A, Ireland, and Australia. Competitions are offered for all ages, including adult students. Sept - end of Aug (12 months) and dancers must commit to performances for the full season. For dancers who are dedicated to Irish dance, love to perform, and are motivated to progress to higher levels. Performance Division requires a large commitment from the dancer and their family as our troupe performs at over 60 shows locally each season and travels internationally. Performance Division Dancers must be dedicated and have the support of family members. Placement on Performance Division Teams is determined by the school and dancers must meet criteria for the Team. Dancers need to be proficient in all four Level 1 dances before auditioning. How do prefer we contact you?